Can Economics Ever Be Ethical? Can economics ever be ethical? This might sound like a strange question to an economist who focuses on collecting data, analysing it, and using that data to make predictions. What ethical considerations could be raised here? 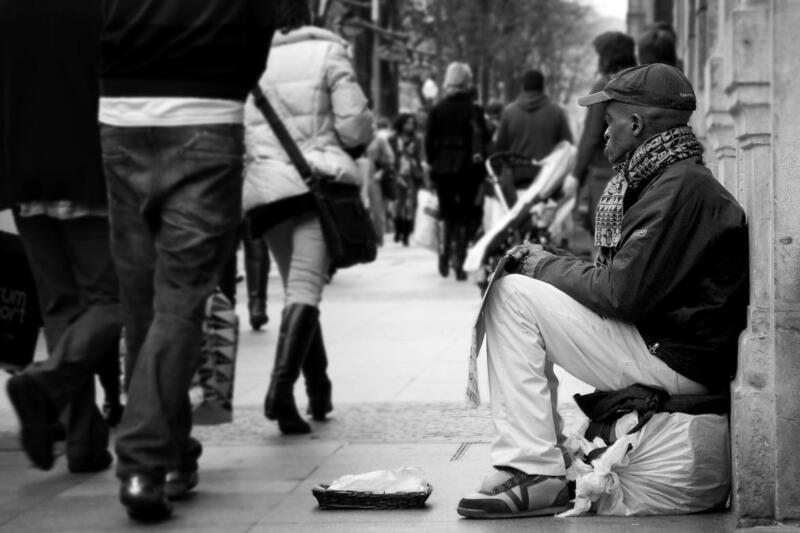 What do abstract theories of ethics have to do with cold, hard economic facts? 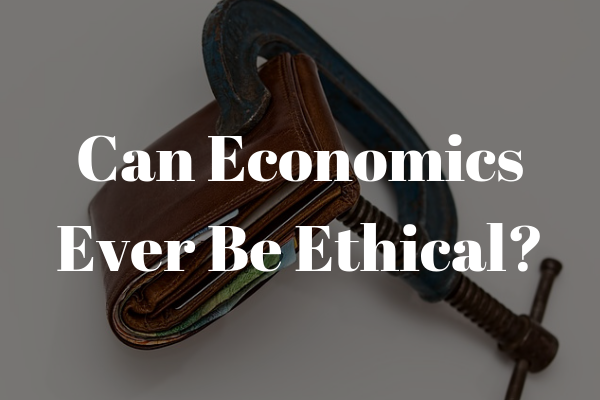 Today we'll look at some of the ways that economics interacts with the topic of ethics. Looking for a job in economics? Check out our job listings. Economics is based primarily on the view of people as rational actors, who will make predictable decisions to optimise their own well being. Rational choice theory states that an agent can be said to be acting rationally if they have rational preferences and they choose the option which is preferential to them compared to the alternatives. Under this understanding, the key factor that economics attempts to optimise is preference satisfaction. Inherent in this approach is the assumption that human well being is served best by allowing people to choose whatever will satisfy their individual preferences best. However, there are clearly limitations to this view. Someone might have preferences which are detrimental to their well being, such as a belief that a pseudoscientific treatment will improve their health and a preference towards that treatment over conventional medicine when they fall ill. A totally free market for healthcare with no restrictions on misleading advertising and no requirement to base treatments on evidence might satisfy individual preferences, but it would be hard to argue that it would benefit human well being when it would cause more people to become sick and die. On the other hand, economists might argue that preference satisfaction is valuable not because it promotes human well being, but because it is a method for optimising the efficient sharing of resources. Under this view, ethics is not within the realm of economics, as the two are totally different frameworks for approaching the world. The problem of differentiating economics from ethics in this way is that ethical concerns do have a marked impact on economical issues. It may be most efficient, for example, for a business to employ children. Children cost less in wages than adults and they can perform tasks such as squeezing into small spaces which adults cannot. However, most people would recoil at the use of child labour in this way. Any company which sells a product or service to customers but which makes use of child labour could expect to lose support and to be the target of public scrutiny. Therefore, it is in the interest of the business to behave ethically, at least to a degree that customers can accept. If customers' preferences include not buying into a supply chain which uses child labour, then businesses need to consider the ethical views of the public and produce their goods in a way that does not violate those preferences. You could say that this is simply another case of satisfaction of individual preferences – but you could also describe this as people in business adjusting their behaviour so as not to violate moral norms which are held by others in their society, which is basically the social contract theory of ethics laid out by Thomas Hobbes. In this way, economics does hew to an ethical framework, even if that framework is understood primarily in terms of preference satisfaction. What is economics for? Is it descriptive or prescriptive? Within economics, approaches to the subject can be divided into two fields: positive economics and normative economics. Positive economics seeks to examine the economy in a given country, area, or international region, and to see that economy as it is. The aim is to collect data and form an accurate picture of the world. Eventually, with enough data, economists can make predictions about what effects an action such as raising interest rates could have on an economy. Positive economics seeks to understand the economy as it exists and to accurately predict what outcomes will arise from various forms of intervention. Hence it describes how the economy is, with no stance taken on how the economy should be. Normative economics, by contrast, looks at how the economy should be and what actions should be taken. It is the enacting of moral principles into economic actions, so for example, if one holds the principle that “All people should be compensated fairly for their labour” then one should support policies that advance that principle, such as instituting a minimum wage. This is where values come into play: should the economy be manipulated in such a way as to promote fairness, growth, equality, standard of living, life expectancy, or something else? A positive theory of economics can tell you how to achieve these aims, but in order to decide what aims to pursue, you need normative economics. Many economists consider themselves data collectors and analysts rather than politicians or philosophers, so they would identify more with the framework of descriptive positive economics than that of prescriptive normative economics. However, this emphasis on data and objectivity has a tendency to lead people to believe that they are being objective when in fact their values are coming in to play. As any scientist or journalist can tell you, what questions you ask when searching for facts has as much bearing on the conclusion you eventually reach as the facts themselves. In studying positive economics, economists necessarily make judgements about what topics to examine, which forms a kind of normative approach about which issues are most important. In this way, the distinction between positive and normative economics is not as clear as you might think, and plenty of economists are working with prescriptive and therefore moral values even if they are not aware of it. And when values come into play, then ethics must necessarily follow. Finally, it is important to consider the role of psychology in both economics and ethics. With economic theories based primarily on the assumption of individual rationality, assuming that people will make the choices which will maximise their utility. However, evidence from psychology makes it abundantly clear that this assumption does not hold – from the innocent person who confesses to a crime under intense questioning, to the person who develops a destructive gambling habit, to the person who goes along with a social group even if they disagree (as most of us do from time to time), there are no shortage of examples of human behaviour where people do not act rationally and maximize their utility. So the assumption of rationality on behalf of economic subjects can in fact be seen as prescriptive. An economist does not, in fact, describe the world as it is, because they assume that individuals are making rational economic decisions, which is not always true. By basing their systems of understanding on the assumption of rationality, economists discuss how a rational actor “ought” to act. This provides another arena for discussing the role of ethics in economics: examining the choices that people ought to make based on their situation, finances, and psychological state as well as their individual preferences. Although at first blush, then, it may appear that ethics has little to do with economics, once you dig down into the details of the practice of economics it becomes clear that ethical concerns impact the subject in a number of ways. Even when economists are unaware of the fact, they are already operating within an ethical framework. If you're currently looking for a job in economics, have a look at our job listings.